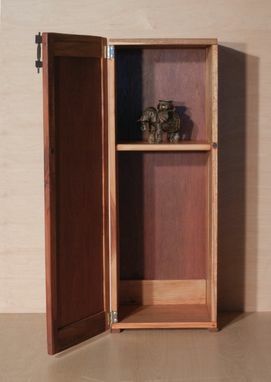 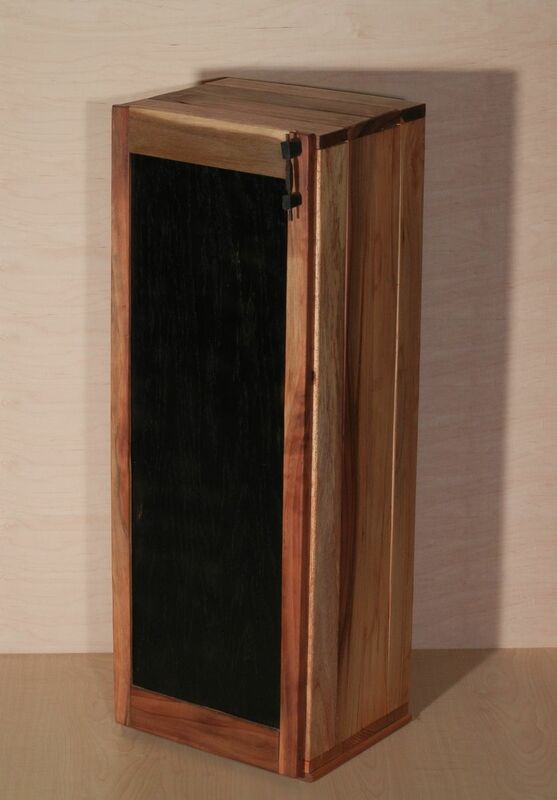 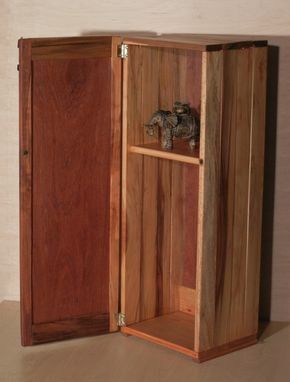 This small cabinet is made of Honduran Mahogany. The case is doweled, glued, and nailed. 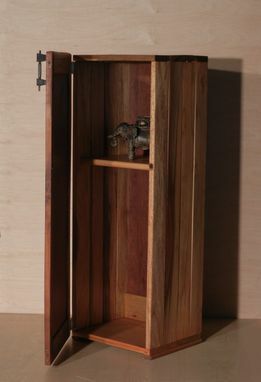 It's intended purpose is to be used as an outdoor storage cabinet for garden implements to be kept on my front porch. 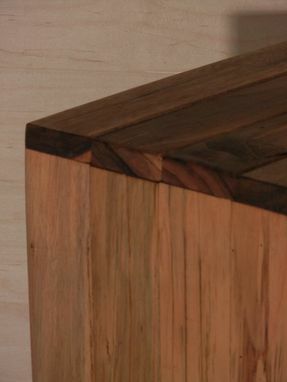 Each side of the carcass was first Doweled and glued together, and then doweled, glued, and nailed to each other. 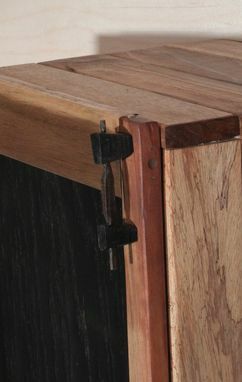 The handle is Macassar Ebony and Lignum Vitae. 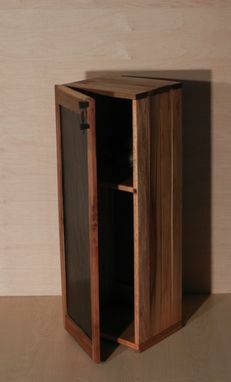 The base is Oregon Cedar, which is naturally resistant to decay. 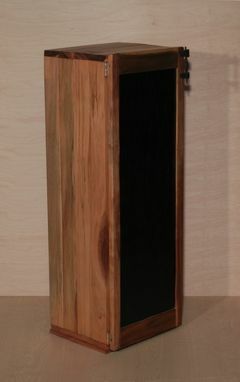 It is finished with multiple coats of Tung Oil and Carnuba wax.